Cincy Summer Streets opens up local streets for everyone to play, walk, bike, dance and connect with neighbors. The idea is to open streets for play during the day! Lots of activities will be offered including: art making, dancing, children’s activities and exercise classes. Part of McMillan Street (between Chatham Street and Victory Parkway) will be closed. The section of Hamilton Avenue (between Pullan Avenue and Hoffner Street/Spring Grove Avenue) will be closed. 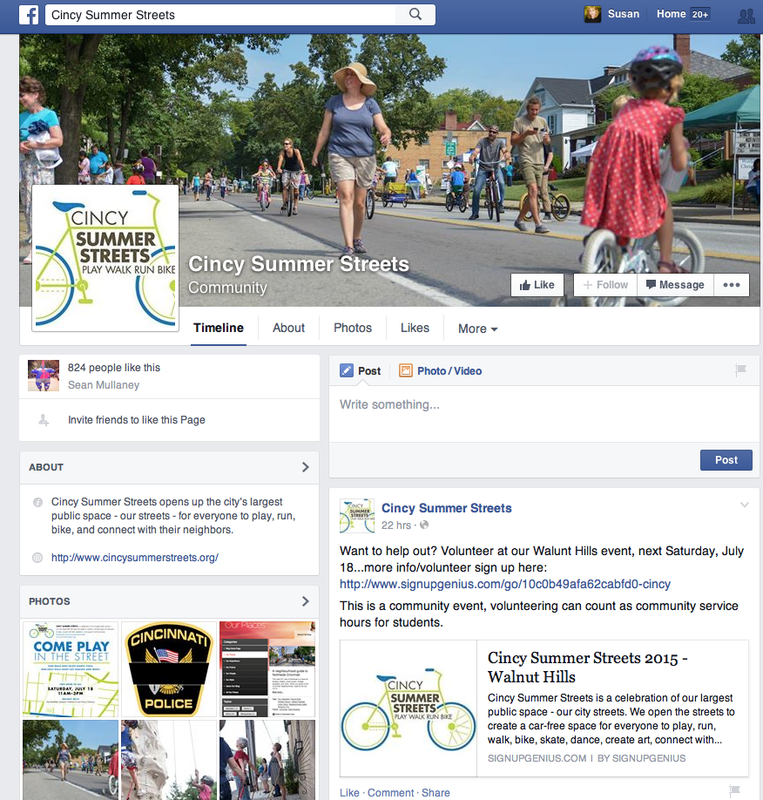 Follow Cincy Summer Streets on Facebook and Twitter! This entry was posted in Communities, Events, Have Fun! and tagged 2015, Cincy Summer Streets, Northside, Over-The-Rhine, Walnut Hills by susanaknabe. Bookmark the permalink.